I must be one of the last people to jump on the homemade macaron bandwagon judging from how many of the food blogs around have posted about exactly this. 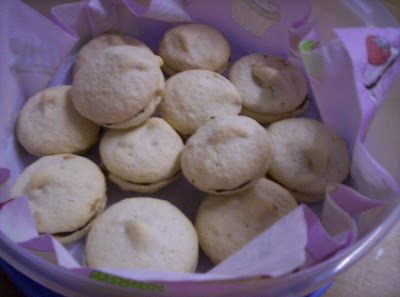 One great thing about macarons? They're gluten-free! 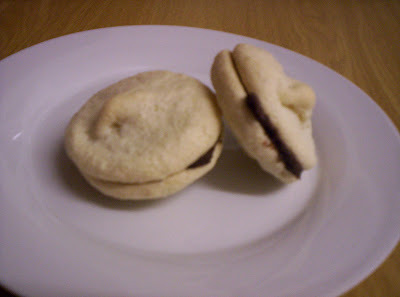 Two bad things about macarons for me? The icing sugar available in South Africa necessary to make macarons contains corn flour (I'm allergic) AND you use almonds (I'm intolerant). 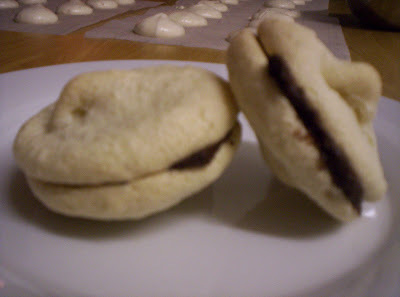 Find a recipe which I can adapt to my allergenic needs (Wasabimon! 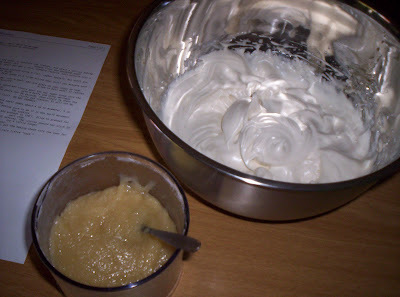 and her rosewater/vanilla recipe acted as the base), try it, and bloody well get them right on the first try because it's so friggin' time consuming. they taste the same...crunchy as you bite into it and chewy as you hit the inside. Now, tell me - unless you're working as a food editor for some glossy magazine, isn't it the taste that counts? Using a food processor, grind the macadamias, caster sugar and potato starch till very finely ground. Use a spoon to stir one egg white and the coconut essence into this mixture. In a seperate (and very clean) stainless steel bowl, beat the remaining two egg whites till soft peaks are reached. Set aside for the moment. Put sugar and water in a small saucepan, and gently heat using a thermometer to tell you when your syrup has reached 90°C, stirring occasionally to prevent burning. Carefully put the sugar syrup in a small pouring jug (hot syrup burns are nasty), and then resume beating the egg whites while slowly pouring the hot syrup into the mixture, drizzling it down the side of the bowl while mixing. 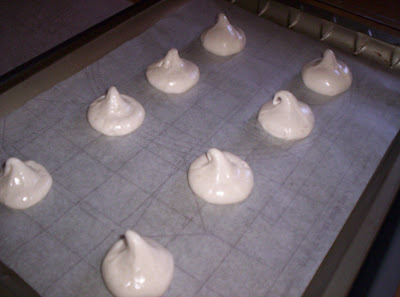 The meringue is ready when it's shiny and puffy, reaching the stiff peak stage. Fold the macadamia paste and meringue together slowly, till an even consistency is reached. Don't over-fold! 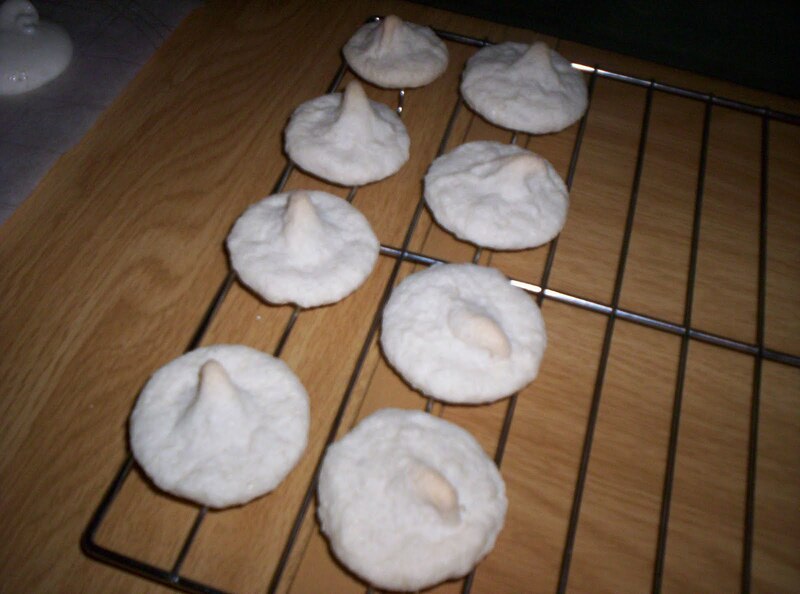 Keeping the air in the mixture is important to getting a good end result. 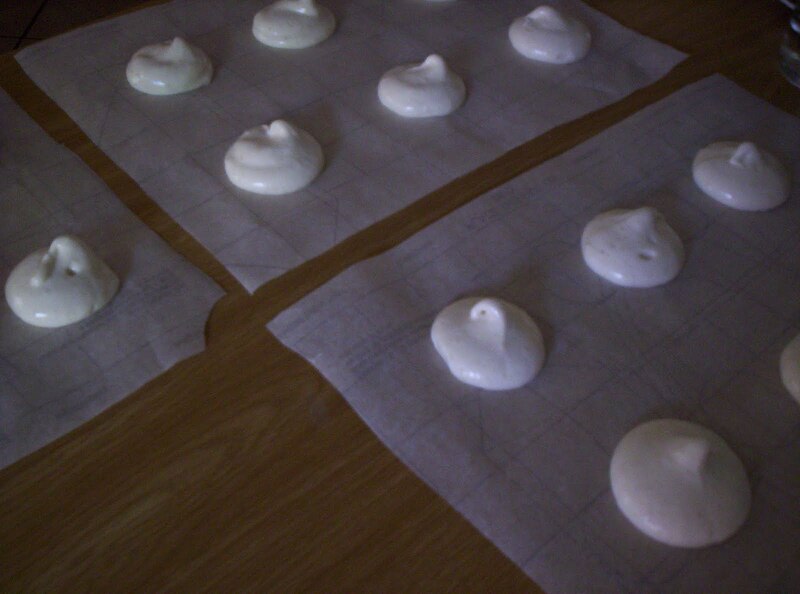 Transfer the mix to a piping bag without a nozzle, and pipe circles of approx. 4cm diameter with 5cm between circles onto a baking sheet lined with baking paper. 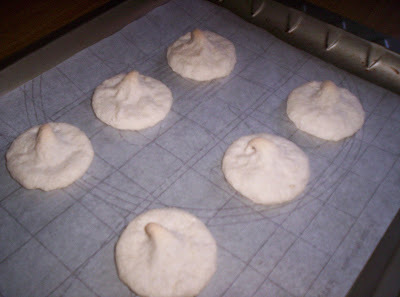 Leave the baking sheet sitting on your counter for 30 - 40 mins to allow a crust to form on the macaron shell, while your oven pre-heats to 150°C. Bake the shells for 12 mins or so. They should be easy to peel off the baking paper. Allow the shells to cool and then fill them with ganache or a buttercream of your choice.